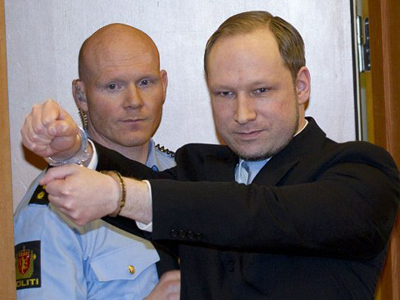 Even his lawyers say the plea has no chance – but Anders Behring Breivik is still determined to somehow prove that killing 77 people, most of them teenagers, was an act of self-defense. 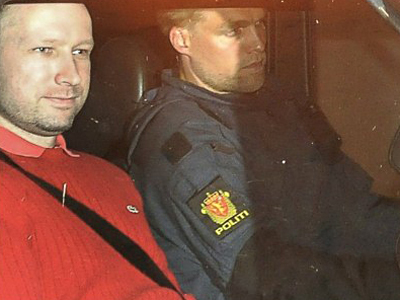 ­The 33-year-old extremist has confessed to planting a bomb near government buildings in Oslo, then driving to the island of Utoya, where he systematically shot 69 people. His odd argument is that his actions were "necessary" to prevent Norway from being swallowed in what he perceived as an imminent Islamic takeover. The self-styled anti-Muslim militant might sound mad as a hatter, especially after confirming his intent to claim gunning down teenagers in cold blood was an act of defense. But according to a panel of psychiatrists who examined him in prison, Breivik was perfectly aware of his actions at all times. His trial begins next week, and no one is harboring hopes that the terrorist will repent or admit his guilt. 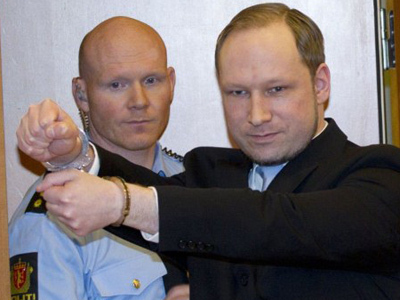 Moreover, Breivik’s lawyers told reporters their client is more than likely to complain that he was unable to kill more people. “My point in saying that was to prepare people, so that we will be more ready for what will come at the trial,” lawyer Geir Lippestad told journalists. “I think we're going to hear many very provocative statements from him. But we must endure it." The twin attacks of last July — a bomb in Oslo's government district followed by a shooting spree at the governing Labor Party's youth camp outside the capital — brutally shocked Norway. The blond, blue-eyed gunman surrendered to police on a lakeside island where the bodies of his many teenage victims lay scattered. He claimed he was the Islamic terror group's antithesis, a modern-day crusader waging a war against Islam in Europe. 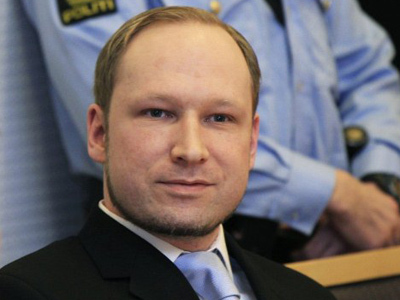 Breivik confessed to the attacks but rejected criminal guilt, saying he had acted to protect Norway from being overrun by Muslims by targeting the political establishment he claimed had betrayed the country with its liberal immigration policies. His legal team is also planning on calling radical Islamists and right-wing extremists to testify during the trial in an attempt to show that there are other people who share his world view. His lawyer said the point is to prove that there is a narrow group of like-minded people who "look at things the same way, who are of the opinion that we are at war, the Muslim and the Christian world." 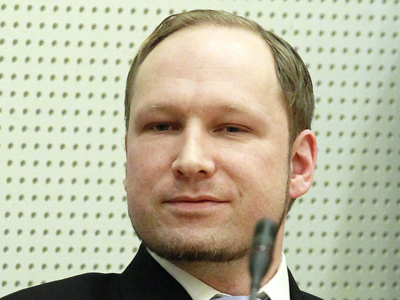 However, the secret right-wing militia group Breivik claimed to be a part of in his so-called ‘manifesto’ was proven to be nonexistent by investigators, and many right-wing politicians and anti-islamic bloggers in Norway have put a lot of effort into distancing themselves from the terrorist, who they’ve deemed a madman. A number of the survivors of the Utoya attack will also attend the hearings next week.